I talked to the BC guys and they're going to be making a set of camber plates for the front, so hopefully I'll be able to go quite a bit lower soon. After that I'm probably going to be calling it quits on modding this car (except I might have the muffler deleted). I fully expect to be buying an F54 Clubman when it is released or shortly after and I want to focus all my efforts on my bike until then. Last edited by VicSkimmr; 04-10-2015 at 01:18 PM.. Your making the new model look so gooooood! After seeing this in person I think it's the best example of a MINI that can benefit from a good drop and nice wheels. It always make a big difference, but holy crap the F56 looks a billion times better when lowered! The Ferrari wheels certainly don't hurt, either. Yeah it really does. Night and day difference. Ha thanks Hopefully we'll be taking more pictures soon, this hot weather has kept me from washing/waxing the car. That's what I get for being lazy during the cooler months I guess. Wash at night....that's what I do. This angle seems vaguely familiar. Really struggling to find new places for photos this time of year. And still trying to find a different angle of the car I like. I do feel your struggle though, ever since moving houses a year ago, I havn't found a lot of nice photo locations. There's a nice spot along the water close to home, but that's about it for me. Nice photos, I really like that shade of Green you seem to capture it rather well. 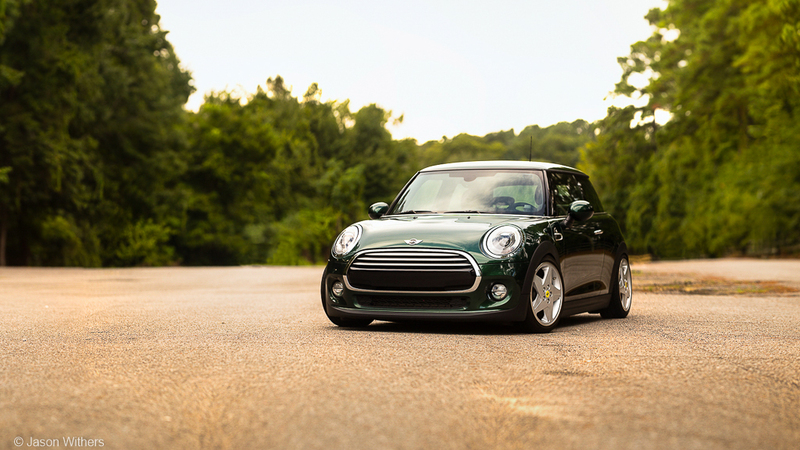 Not a big F56 fan, but your pictures make it look great. I believe it's Green, Wheels and stance. and your camera item. Would you share the equipment your using? 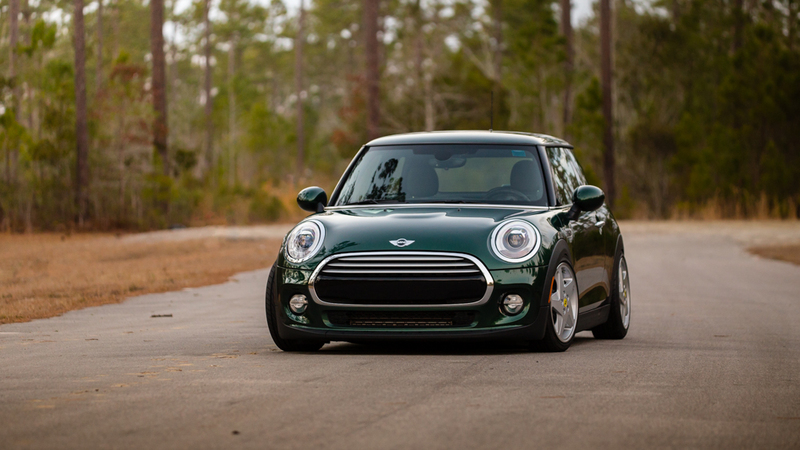 Nice Mini done in the M|U style. Thanks! I have a few locations to try but until it gets too cold for people to go to the beach it's just too crowded to use them. I've found a nice marina on the waterway but when I went by there this past weekend there were like 100 cars parked there. There's also a few small 2 lane roads that run right through the marsh but until traffic dies down I can't park my car there. It's a Canon 6D and those shots were taken with my Sigma 150 f/2.8. It was a bunch of shots stitched together as a panorama. Really baller car, feels just like the F series BMW's but at a fraction of the cost. Oh dang, I've always loved your config, so nice... I am seriously considering it, but not sure if it is in the budget right now..